Missouri State University’s online Cybersecurity program was ranked second in the nation by Online MBA Today. 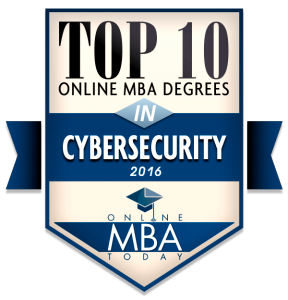 Missouri State University’s online MBA Cybersecurity program was ranked second in the nation by Online MBA Today. More than 350 online MBA programs in cybersecurity were ranked using five factors: estimated tuition cost, accreditation, early career salary, prestige and overall graduation rates. Cybersecurity professionals work to keep information systems safe from various hazards, including theft and compromise. The increasing global digital dependency has produced a job boom for these professionals. Online MBA cybersecurity programs offer flexibility in combination with accessibility, which is ideal for professionals already in the work force. Missouri State also offers a complete Cybersecurity Master’s Program separate from the MBA.